From the NORTH (Wincanton, Bath, Shepton Mallet) - A303 to Wincanton then A357 to Henstridge. At Henstridge turn right onto A30. Go through Milborne Port and turn left into Pinford Farm gate where there are signs. From the SOUTH EAST (Blandford, Wimborne, Bournemouth) - Follow the A357 to Henstridge, turning left, through Milborne Port and left into Pinford Farm gate. 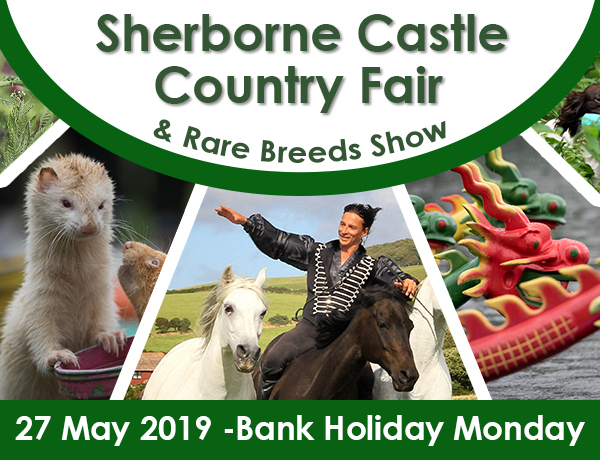 From the SOUTH (Dorchester, Bridport, Weymouth) - Follow the A352, and existing brown signs for Sherborne Castle into New Road to the Castle main gate. From the WEST (Yeovil, Crewkerne, Taunton) - Follow A303 and the A30 from Yeovil to Sherborne, to the traffic lights at the end of the dual carriageway. Turn right, following existing brown Sherborne Castle signs to New Road and to the Castle main gate.